Plus I ordered a solid color of each....so a total of 9 lanterns. I am lucky that I am allowed to hang things from my ceiling. :) I plan this year to just have a color theme, rather than an animal or character as I have done in other years. It has been a crazy few months for me with lots of time needed for family needs. I hope things settle down and I can get back to blogging more regularly. I have had some computer problems again so I am back to my ancient and slow computer. I can't really make or draw on it because when I do too much it freezes and shuts down. Once I really investigate computers I will replace the "good" one. So this year I will re-do my room using the above colors. I think I will do black backgrounds on all my bulletin boards and use the colors for border. I want to keep it clean, bright and organized this year!! I did a LOT of throwing away at the end of last year so hopefully this year my set up will be quick. Last time I was at the school my floors were being waxed so I couldn't get in to set up but hopefully later this week I can go in and take some before/after pictures. I love the before and after pictures dont you? I have a few back to school boards on Pinterest that might be helpful with your planning and organizing. I also have as a brand new COLLABORATIVE board called "Elementary Doors and Bulletin Boards". The "rules" are simple....just pin elementary bulletin boards and decorated classroom doors. :) If you would like to pin to my collaborative board it's super easy!! 1. Follow me on Pinterest. 2. Send me your email/pinterest user name. 3. I will add you and you can begin pinning. 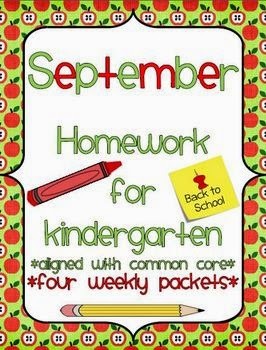 I have a few packets which might help you with your beginning of the year planning. There is a sale right now on Teachers Pay Teachers using the code BTS14. This will give you an extra percentage off. TPT Sales are a great time to stock up on products you will need throughout the year. I like to go through my "wishlist" and try to purchase some of the items I have saved. I also use the sale as a time to check out new teachers to TPT. I know some prefer to buy from only teachers with a particular amount of followers but I have seen great products from newer teachers as well. I will be back soon to share my other new craft project and before and after pictures of my classroom. Enjoy the rest of your summer!! !